our industry and the entire state of Minnesota. MNRSA prides itself on establishing and maintaining good relationships with local and state elected officials. We look not only to represent your interests, but to bridge the gap between the recruiting and staffing industry and elected officials and provide opportunities for direct dialogue. Business owners and employers across Minnesota are responsible for managing complex tasks like scheduling, human resources, accounting, unloading trucks, stocking shelves, customer service, and much more – all while keeping their businesses afloat and contributing to the health of our state’s economy. Labor regulations at the local rather than state or federal level will result in a patchwork of overwhelming, confusing, and burdensome mandates for employers and employees – putting significant weight on the shoulders of already time pressed business owners/operators. Support Uniform Labor Standards and help Main Street Minnesota businesses by ensuring a consistent marketplace, a level playing field across the state, and a stable work environment for our workforce. 22 States currently have laws that support statewide uniformity of labor regulations. This includes states bordering Minnesota along with several in the Midwest region. 1. An employer has two facilities: one in Minneapolis and one in a nearby Minnesota city. Today, employees move between the facilities easily. Under new city mandates, though, employees would have to receive different benefits depending on the location where they work, making it more expensive and cumbersome to provide employees with flexibility. 2. An employer located in Greater Minnesota delivers products into St. Paul. Under new city mandates, employees must track the number of hours they’re within the city’s limits so the employer can pay the mandated benefit. If the employer does not fulfill this burdensome requirement, St. Paul claims the power to fine the employer. 3. An employer located in Greater Minnesota sends employees to a sales conference in Minneapolis. Working long hours during the conference and on sales calls afterwards, the employees work 80 hours within the Minneapolis city limits. Even if those employees never set foot in the city again, the employer must pay them the mandated benefit for the entire year or Minneapolis claims the power to fine the employer. Imposing a patchwork of ordinances on employers would make them spend more time and money on figuring out laws and less on innovating, growing, and hiring new employees. In contrast, the Uniform State Labor Standards Act would prohibit local governments from passing their own mandates on wages, benefits, and scheduling – so would keep Minnesota’s laws uniform, our communities open for business, and our economy thriving for all. Our system of government values local control in certain policy areas, such as issuance of zoning approvals and assessment of property taxes. In many other policy areas, though, Minnesota has realized the benefits of uniformity across the state—as reflected in our uniform statewide criminal code, building code, consumer protection laws, banking regulation, insurance regulation, securities regulation, and occupational licensing. For more information, please contact Mike Karbo at 651-228-0973 or mkarbo@mngrocers.com. The Minnesota Recruiting and Staffing Association (MNRSA) is the largest staffing association in the state representing over 983 staffing companies. Our members employ an average of 61,774 people daily and in 2011 we helped 89,000 Minnesotans find full-time jobs. Our labor market flexibility is widely recognized by economists as a key factor in innovation, growth of new technologies and job creation. Staffing firms play a vital role in providing flexibility for workers and a bridge to employment. The policies cannot account for the temporary employment industry where temporary employees often work multiple assignments during the first 90 days with multiple staffing firms. A private cause of action or monetary penalties will disproportionally devastate the staffing industry as there are numerous employees on its payroll that are inherently short-term and may never reach a useable level. Contingent employees may opt, or naturally have, time off between assignments which distinguishes their need or ability to take time-off from that of traditional employees. Temporary workers often migrate between many staffing firms within the industry and not return to the same agency in any regular or meaningful way resulting in substantial administrative burden and cost. Additional costs will be incurred for the employer to implement a record keeping system to track sick and safe time for thousands of temporary employees. There is no de minimis exception or other mechanism in any policy which would alleviate the considerable administrative burden unique to the staffing agencies. The policy undermines the bridge to employment created by staffing because it creates disincentive for temporary workers to accept permanent employment as it would result in the loss of accrued time-off at the staffing agency. Staffing firms place employees based on specific needs which include availability and fulfillment of required training. This exclusion is the result of legitimate business and safety requirements unique to staffing that are not accounted for under any pending sick time policies. Clients, and not the staffing agency, will frequently choose to retain those individuals covering absences for sick time usage and not those who were originally on the assignment. MNRSA opposes any government mandated sick or paid time off benefits of private employers. The additional costs to a temporary staffing employer will have negative effect on an already labor-intensive temporary industry. There is no reason to mandate an additional expense and further complicate or impose additional obstacles to employment in the State of Minnesota. 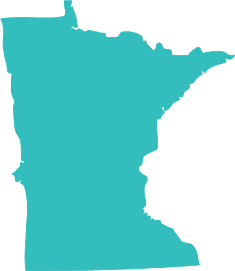 The Minnesota Recruiting and Staffing Association (MNRSA) is the largest staffing association in the state representing over 983 staffing companies. Our members employ an average of 61,774 people daily and in 2011 we helped 89,000 Minnesotans find full-time jobs. Our labor market flexibility is widely recognized by economists as a key factor in innovation, growth of new technologies and job creation. Temporary employment opportunities are the result of an unexpected business need that arose with little to no advance notice which is met by an individual who is otherwise unemployed or not working. A private cause of action or monetary penalties for failing to meet any advance notice requirements obliterates the critical bridge to long term employment provided by many staffing firms. Some employees chose the temporary employment route because it provides considerably more flexibility than traditional employment as they are free to work or not when an assignment concludes. Mandated advance notice for employee scheduling establishes rigid requirements that eliminates the ability of staffing firms to provide the desired flexibility to their temporary employees. Staffing firms employ a wide range of individuals on a temporary basis that are critical to public safety which needs cannot be scheduled in advance such as: doctors, teachers, nurses, and attorneys. There are legitimate business and safety requirements unique to staffing that cannot be accounted for under any pending government mandated scheduling policies. MNRSA opposes any government mandated scheduling requirements of private employers. The additional costs to a temporary staffing employer will have negative effect on an already labor-intensive temporary industry. There is no reason to mandate additional expense and obstacles to employment in the State of Minnesota.